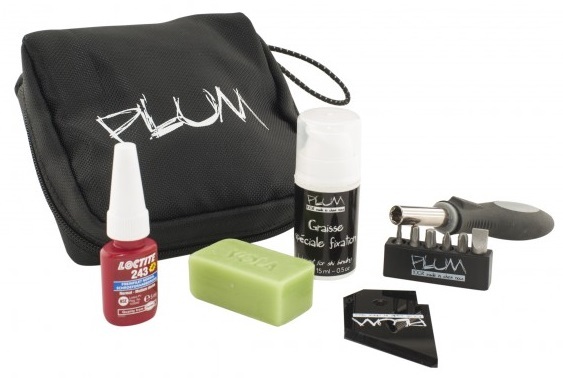 A field kit assembled by Plum, the tool box features a lightweight driver with multiple bits. Also included is grease, loctite, wax, and a scraper tool. The kit comes in a zipped pouch for easy storage.